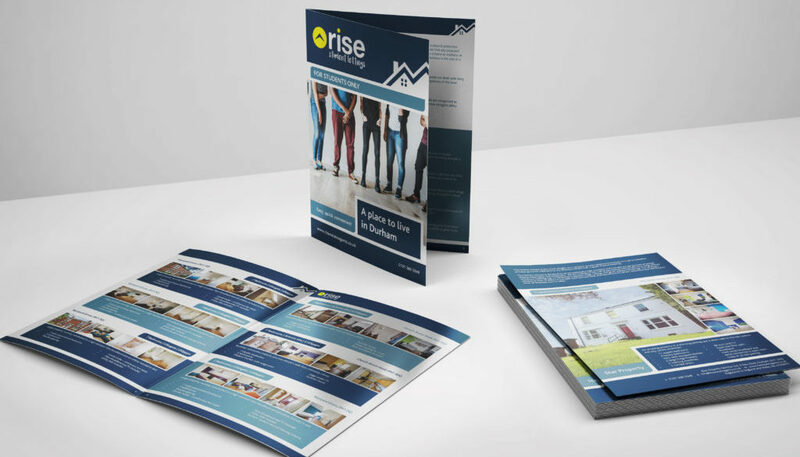 We were commissioned by Rise Lettings in Durham to design their students lettings brochure for 2018/19. Using existing Rise branding elements and colours, we created a stylish bespoke brochure that would appeal to students and showcase their impressive portfolio. Based in Durham City, Rise Sales & Lettings specialise in residential sales and lettings and property management and are the first choice for student accommodation.